ABS is the initial letters of Acrylonitrile Butadiene Styrene, it is a high strength, good toughness, easy molding of thermoplastic polymer material. Plastic ABS resin is the largest output, the most widely used polymer in injection molding industry, ABS material widely used in auto parts, household appliances, consumer products, packaging materials, industrial parts etc. ABS plastic parts design requires uniform wall thickness, diversity of wall thickness should be controlled within 25%, uniform wall thickness can prevent the excessive stress. Radius or additional ribs are needed on the roots of the boss and snap to improve the strength, size of the radius depends on the wall thickness, R/wall thickness should be no less than 0.3, the bigger R, the smaller stress. But you need to consider the shrinkage as well, too big Radius would cause sink mark on the opposite side of the ABS plastic part. 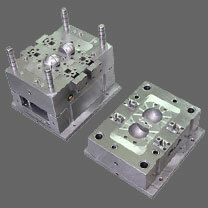 Injection mold cooling should be designed as even as possible to avoid shrinkage problem. 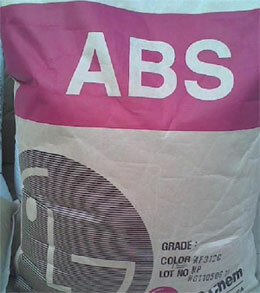 Typically, heat-resistant ABS resin during storage and transportation will absorb moisture from the air, water absorption ratio are between 0.2 and 0.4%, ABS plastic material must be dried sufficiently, material moisture content must to be reduced to 0.05% before you can process it, preferably 0.02% or less, otherwise it will cause surface defects like spray, silver during injection molding process. 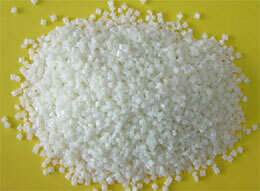 The drying temperature usually is 80-95 ℃, drying time needs 3-4 hours. Molding temperature is a important parameter during ABS plastic molding, which is set to ensure ABS plastic material is plasticized sufficiently , you should follow manufacturers recommends, using the upper limit of recommended injection molding temperature will significantly reduce viscosity to get better flow-ability, so you could have longer melt flow distance to better have filling capacity. In principle, when use the recommended melt temperature upper limit, the time of ABS plastics stay on barrel should be made as short as possible to avoid material degradation at high temperatures. Reasonable holding pressure and time determine directly the quality of molded plastic parts, high holding pressure will increase the density of the plastic parts, you will get less shrinkage and great surface quality. But big internal stress will be created, which endanger the part strength. So the best solution is try to use lower holding pressure as long as the surface requirement is satisfied. Setting dwell time is based on the time needed to seal the injection mold gate, after the gate is solidified, there is no pressure apply on the plastic parts by screw advancing. The holding time is too long, internal stress becomes larger; dwell time is too short, the plastic part is easy to get shrink problem and measurement is unstable. Recommended mold temperature of ABS molding: 60-80℃. Higher mold temperatures have advantages of good flow, high weld line strength, smaller internal stress, but the molding cycle will be extended. If the injection mold temperature is lower than recommended, it could cause weak part strength and poor surface quality. 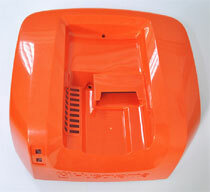 Do you need molding ABS plastic with low cost? Contact our company now!